People often ask, “How much should I weigh?” In most cases, one’s ideal weight really depends on how tall they are, and sometimes their age or jobs should be taken into consideration. To find out how much you should weigh ideally, use the height and weight chart below. You can also calculate your Body Mass Index (BMI) by using the formulas given to determine if you are underweight, overweight, or obese. For example: 80 kg / 1.82 m2= 24.69. Using imperial units: Weight in pounds (lbs) multiplied by 703, divided by the square of height in inches (in2). 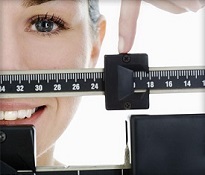 Your BMI is considered to be in the ideal range if it is 18.5 and 25. People who have a BMI of less than 18.5 are considered underweight. Those who have a BMI between 25 and 30 are considered overweight. A BMI that is over 30 is considered obese.